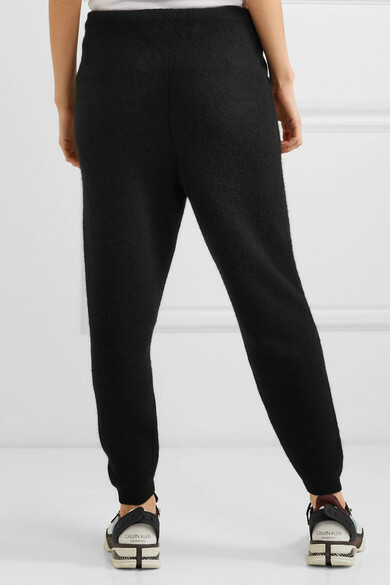 These track pants by The Elder Statesman are knitted from 100% cashmere. 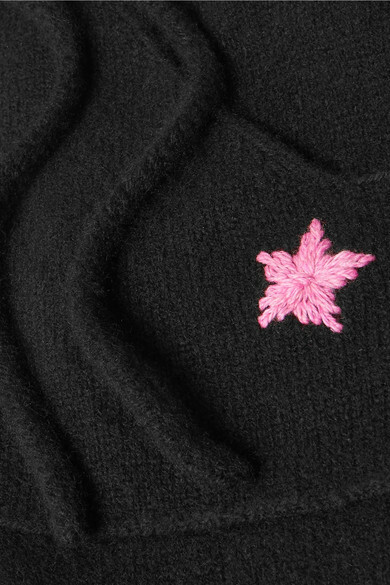 Beautifully soft and warm, they're tapered to a close fit at the ankle and a single pink embroidered star is located at the left pocket. This pair lends itself well to long-haul flights and general travel as they're so comfortable but still look put together. Shown here with: JW Anderson Shoulder bag, CALVIN KLEIN 205W39NYC Sneakers, Les Girls Les Boys T-shirt, Leigh Miller Earrings.